Setting: Broad Channel, Queens, NY. Broad Channel is a community of 3,000 people that lies on an island in the middle of Jamaica Bay, a tad southwest of JFK International Airport. The inhabited part of the island is about 1,000 feet wide and centers on Cross Bay Blvd., which connects the town to Howard Beach and the Rockaways. The rows of houses along side streets are separated by water; people fish off their back decks and many have boats. (See satellite view, below.) Surrounding land/water is managed by the National Park Service and is part of the Gateway National Recreation Area. 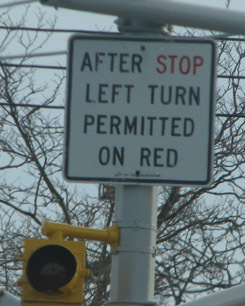 There are traffic lights on Cross Bay Blvd., and one of the peculiarities of the community is that left turns are permitted at most intersections on red after a stop. The community has not had a classified (run-by-USPS) post office for a long time. The closest classified offices are Far Rockaway's Rockaway Beach Station (1.2 miles) and Jamaica's Howard Beach Station (3.8 miles). The former might not sound like too far a distance to travel; but note that the Rockaways lie across a toll bridge. As of mid-December Broad Channel again has a CPU. The new contractor is The Bay-Gull Store on Cross-Bay Blvd. between 17th and 18th Rd. Next door is the Broad Channel branch of the Queens Library. So yes: it's effectively a post office in a bagel shop. Only in New York. Oh my, I would love it if I could grab a bagel when buying some stamps! Love the uniqueness. More like old times when post offices were in grocery stores.